← Agent86 Gets Big Wheels, Tires, and Flares! We had a very busy September and managed to squeeze in a little development work and parts installation onto our 2018 Mustang GT test mule, which we cover in great detail in our S550 Forum Build Thread. 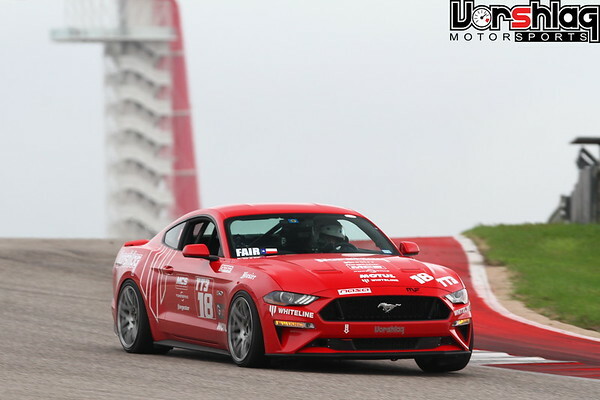 The changes we made in the week before the 2018 NASA National Championship event at Circuit of the Americas (COTA) were huge, and it helped us make a leap forward in on-track performance. 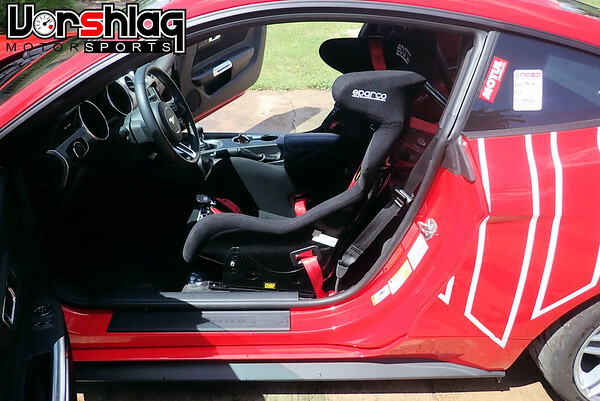 We added a new 4-point roll bar we built, a seat bracket kit we designed, a Sparco Circuit II seat, and Scroth harnesses for safety. MCS RR2 remote reservoir double adjustable monotube coilovers + more spring rate cut down on the roll/dive/squat. 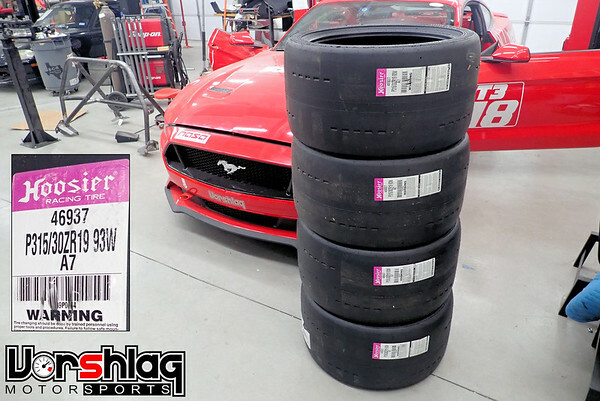 Hoosier A7 tires in 315/30/19 added a lot of mechanical grip. 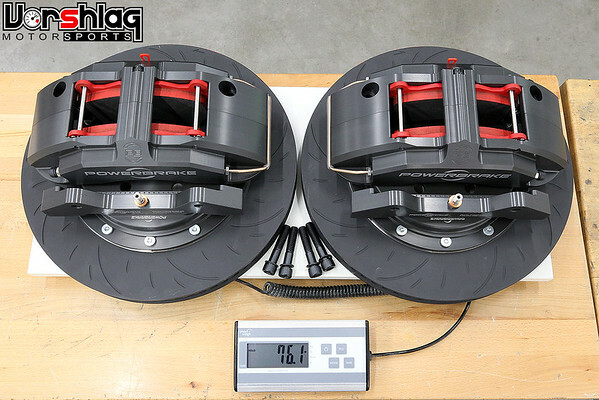 A massive 380x34mm 6-piston Powerbrake kit added a lot of stopping power – with 1.5g stops recorded on data, lap after lap. 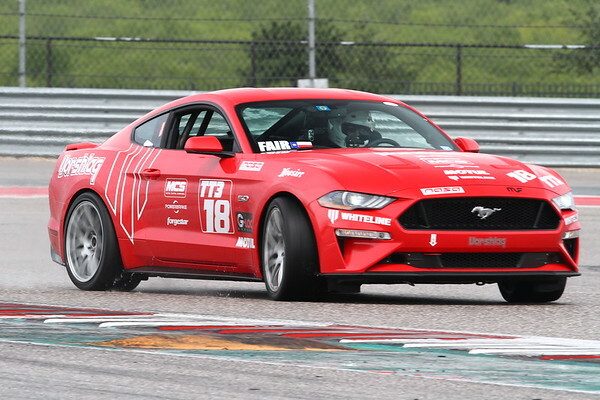 We took all of these changes to NASA Nationals and then chronicle the Time Trial competition in great detail. Check out the massive Forum Build Thread update to read more!